The revival: ceramics and porcelain as the new black. When we think about modern art – we often think of new stuff: technologies, materials, media-driven themes and hot social topics. It seems almost impossible tocompare archaic and artisan materials like ceramics and porcelain. However, the following three artists have been proving that clay is still a powerful and imaginative tool in the world of contemporary art, when it’s placed in a skillful hands. To see the depth of these materials, we have to examine each author’s approach to the possibilities and reinvention of these long-forgotten components of the creative practices. From the first sight it might seem that British artist Rachel Kneebone is heavily influenced by the Rococo aesthetic; but on a closer look, it rather resembles some kind of surrealist human-structure made of amorphous body parts. The philosophical embodiment of the life, love and death inspired by Ovid’s Metamorphosis, Kneebone reflects on the most essential parts of human existence. 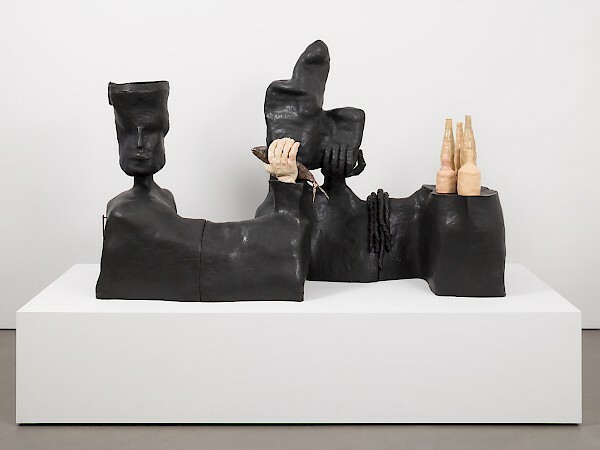 Her sculptures, while resembling bizarre frosted anthropomorphic cakes, reach to the complex and vast topics, the impact of which could be seen on the pedestals of her works – they have cracks and seem to be “damaged” by the weight of the existential struggles depicted above. 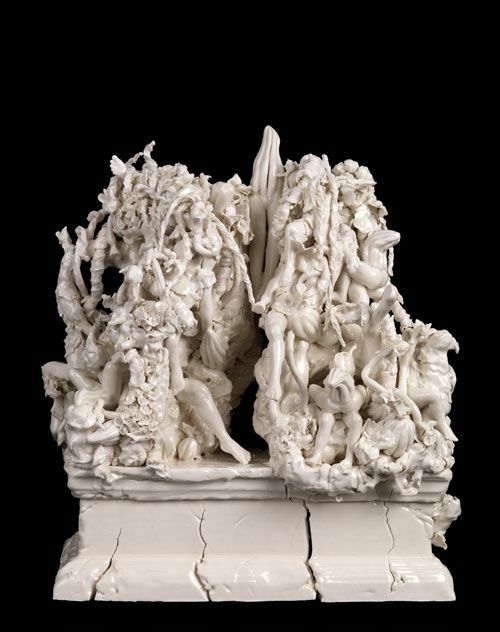 The porcelain in Kneebone’s work transforms the work to a referential tool which triggers associations with the Ancient Greek sculptures and those of the Rodin, at the same time offering a new, surrealistic tones to the world-old subjects. Stretching the possibilities of the media, Jesse Wine explores the mixture of humor, everyday objects and self-portraits all done in clay. Breathing new life into the ceramics, the artist tries to eliminate the “planned process” of creating a clay based object, when you aim at the particular shape; instead Wine gives a green light for the experiments, the unexpected behavior of the material itself. It unlocks the full potential of the medium and brings an unconventional results. 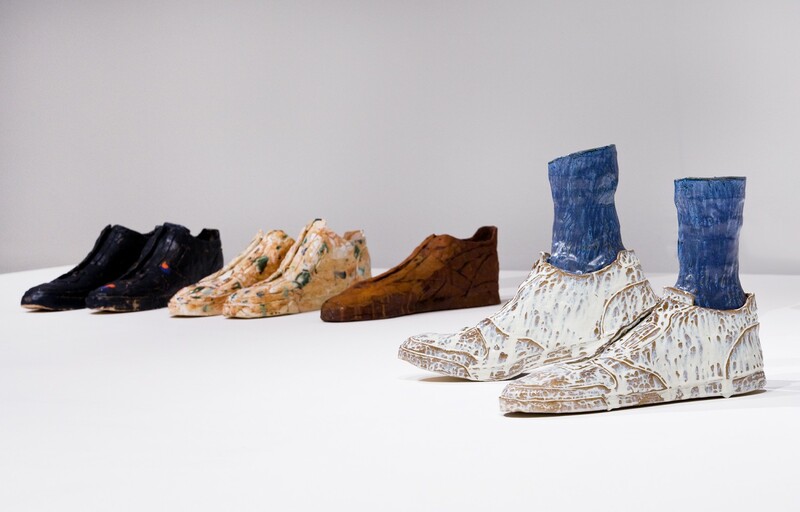 Ceramics done by Jesse Wine certainly looks very up to date, usually have a narrative installed, and certainly proves to be a good choice of material for the contemporary artists. Another fascinating artist working with ceramics does not aim at completely breaking the conventional perception of this material. Klara Kristalova primarily focuses on the making of the small statuettes of boys and girls, that seem to fit in the tradition of 18th century Meissen porcelain figurines. However, the artist also bring in the folk motives of merging with flora and fauna, and as a result the viewers observe quite interesting blend of mystical and decorative motives. Slightly cartoonish, the sculptures give away dream-like vibe, hinting at the existence of their own unique worlds and universe, especially when displayed in a “Cabinet of Curiosities”, small wooden boxes. This creates a notion that these are artificial creatures, but also give a strong impression of some kind of magic working, with the possibility of revival or at least some hidden secrets. The perfect blend of whimsical and vintage with the modern illustrative pinch makes Kristalova’s oeuvre yet another example of the ceramic’s relevance in the modern art world. 3D Paintings – To Slow Down Drivers? As long as automobiles have been around, drivers have been speeding. In India, reckless driving is especially common – India has the largest number of traffic accidents and road-related deaths in the world. 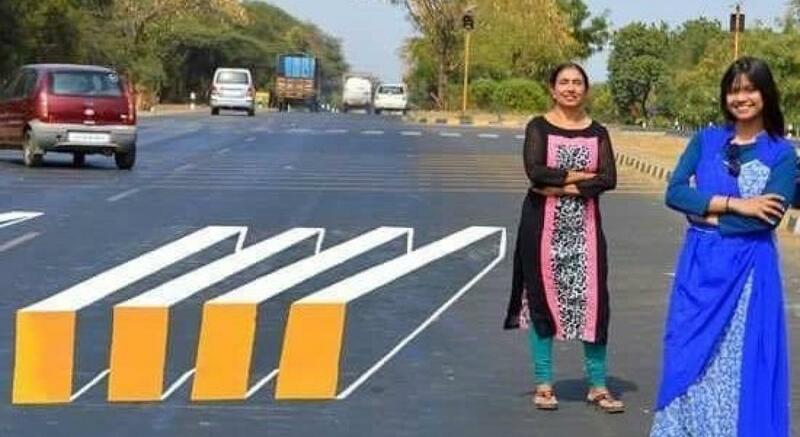 Although speed bumps and signs have been used in the past, India’s Transport Minister Nitin Gadkari hopes that 3D paintings may lead to fewer deaths. Gadkari proposed the use of these paintings, some of which look like pedestrians from a far, to influence drivers’ reckless habits. Although it becomes apparent to drivers that they are merely paintings, Gadkari hopes that drivers wonder “what if that painting was a person?” On Twitter, he reiterated his support of the paintings. 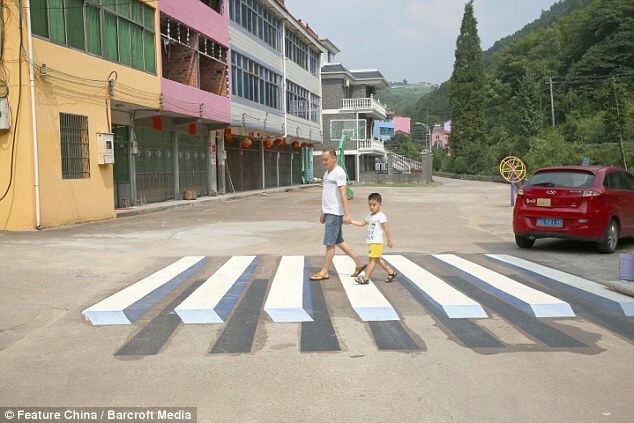 “We are trying out 3D paintings used as virtual speed breakers to avoid unnecessary requirements of speed breakers,” he said. Not everyone shares Gadkari’s enthusiasm, however. Some of the paintings have caused drivers to swerve out of the way, causing accidents – but a solution is needed. Earlier this year, India decided to remove all speed breakers from the highways in India, saying they posed a threat to high-speed drivers. But with these barricades out of the way, Gadkari and other concerned Indians are scratching their heads – can 3D paintings save India from a car-related catastrophe? On August 4, the Chicago Architecture Biennial announced that a diverse group of artists – ranging from designers to performers – will be taking over five venues across Chicago in the upcoming months. The purpose? To put a contemporary perspective on historic locations throughout the city. 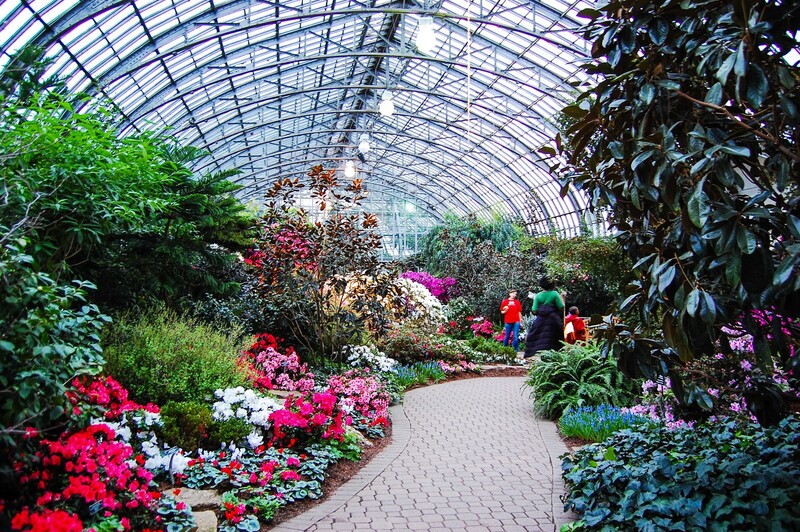 The Garfield Park Conservatory will host Francois Perrin, who will present his architectural experiment Air Houses: Design for a New Climate. The tropical microclimate of the Palm House will be transformed with Perrin’s fabric structure, which offers a perspective on the current ecological crisis. 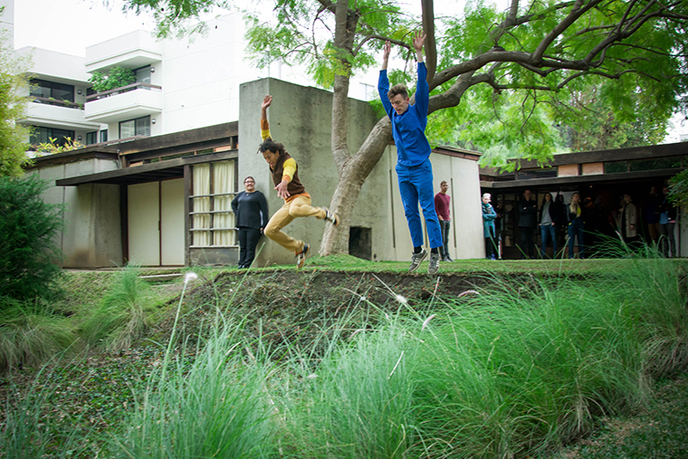 The Conservatory will also house SO-IL and Ana Prvački’s poetic collaboration, L’air pour l’air, a musical piece that will highlight mask and shelter enclosures inspired by the plants of the Conservatory. In downtown Chicago, the Water Tower arts space will host a video installation by performance artists Gerard and Kelly. The piece, two chapters from Modern Living, were staged at Phillip Johnson’s Glass House in New Canaan, CT, and highlight homes that shelter relationships as profound as their designs. The space will also feature James Welling’s colorized images of the Illinois Institute of Technology’s campus. On September 16, performances of a piece by artist Nick Cave and architect Jeanne Gang will begin at Navy Pier, and will involve performers wearing soundsuits interacting with audience members and highlighting Chicago’s creative spirit. All of the instillations are joined by a city-wide series of programs sponsored by over 100 partner organizations.